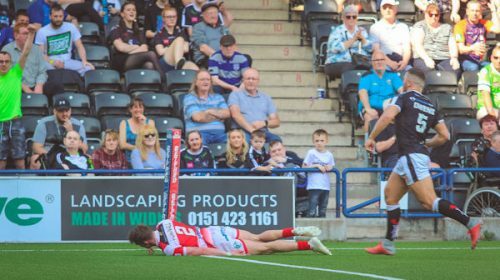 Gregg McNally joined an elite group when he scored his 100th try for Leigh Centurions in Sunday’s Betfred Championship game against Barrow Raiders. 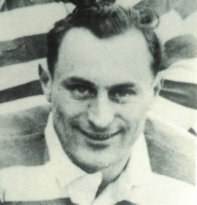 He became only the 11th player in Leigh’s 141-year history to score one hundred tries for the Club. 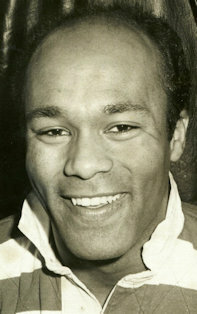 The popular 28-year-old, who is sponsored by Cloud 4 Computers, famously scored the last try at Hilton Park in the play-off game against Whitehaven in 2008. Unfortunately, it was for Whitehaven, who recorded a 30-24 victory. 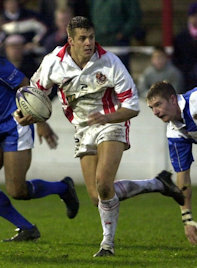 Three years later he joined Leigh Centurions and soon became a firm favourite of the LSV faithful. 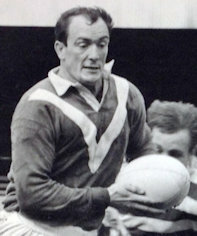 He made his first appearance for the Club in the friendly that opened Salford’s new ground at Barton, scoring a try in Leigh’s 36-12 win and then earned heritage number #1350 when he was one of seven players on debut in the first home game against Barrow Raiders in February 2012. 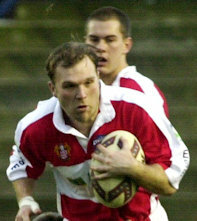 McNally scored his first try for Leigh in his second game, a 23-22 defeat at Sheffield Eagles in the Northern Rail Cup. 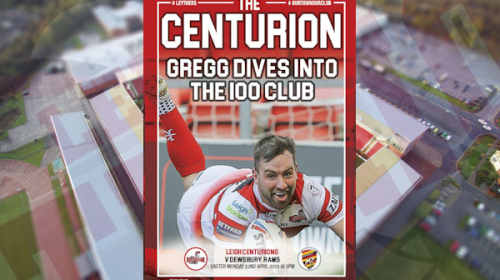 Just over seven years on, broken by a season at Bradford Bulls last year, McNally reached his century for the Centurions in his 155th match for the Club. “It’s a very proud moment,” reflected McNally after Sunday’s game. “I scored my 150th career try the other week and that was a proud moment too. But this one, especially with the list of names on there is massive. “It means a lot to me and this club means a lot to me as well. 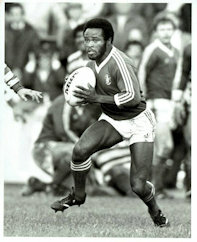 “That last try at Hilton Park- I still remember it and I still get stick for it. 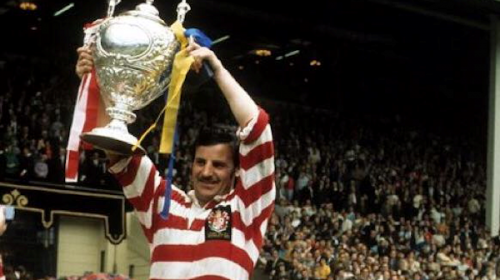 When anyone mentions Hilton Park people say: ‘Who scored the last try there I wonder?’ When I scored that try, I didn’t realise at the time how much Leigh would come into my life and mean a lot to me. “To have that little bit of memorabilia of Hilton Park and to be part of that history of Leigh and now to score 100 tries is massive. To be amongst those immortals on that list means a lot to me and my family as well. McNally celebrated his special moment with a trademark swallow dive and grin for the camera. “The photographer (Jerry Lyons) had a word with me before to make sure I did a bit of a dive if I scored a try. When I got my 150th it was a bit of a let-down, I just threw the ball into the crowd for (son) Harry because it was his birthday, but I made sure this time. “I know Ridy hates my diving and Harrison Hansen still gives me stick for my dive but it’s one of those things. 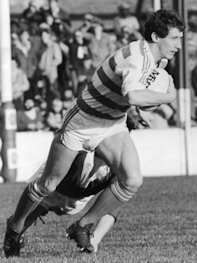 The favourite Leigh try? 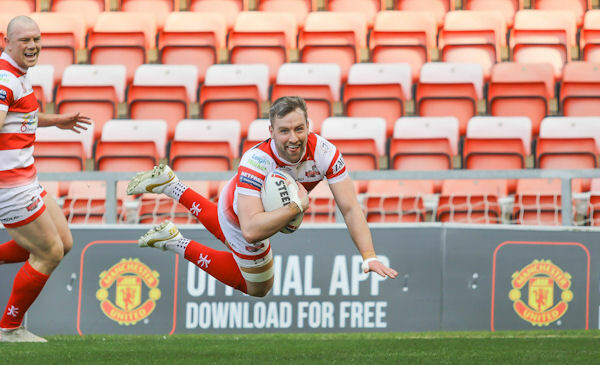 Gregg plumps for his famous solo try against Salford in Leigh’s last match of the 2017 Super League regular season as he chipped ahead on a free play from inside his own half and re-gathered superbly to sprint away from the defence in Leigh’s 25-0 victory.